Astex (MKS Instruments) dummy load equipped with WR284 waveguide and 3/8" Swagelok SS adaptors. Female pipe-threaded design minimizes wear and tear common to older generation Astex dummy loads. New, surplus goods may be available. Water-cooled, 3-way circulator with integrated directional coupler, signal processing board. DSubminiature 9-pin connection (for reflected power signal). 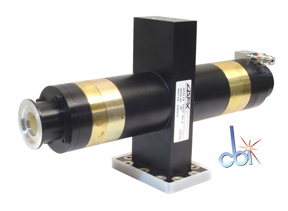 WR284 waveguide component intended for use with Astex 2.5kW microwave generators including AX2050. WR284 Water-cooled Dummy Load intended for use with AX2530, AX2518 microwave generators. Astex 3-way circulator equipped with integrated coupler (SMC connection) for reflected power measurement. Intended for use on Astex generators with up to 1.5kW output such as S1500i and S1000i. Astex 3-way circulator equipped with integrated coupler and signal processing board. Integrated coupler output is used for reflected power measurement. Intended for use with Astex generators such as AX2115 and AX2110. Images shown in this listing show general design of typical unit. Photos of actual unit available can be provided upon request. Offered in tested, operational condition. Commonly used with Astex generators with up to 1.5kW forward power capabilities. 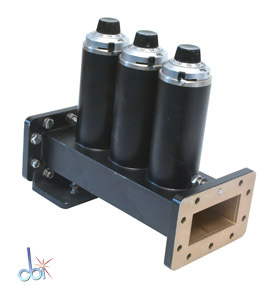 Intended for 5kW AX2040 & A-5000 microwave delivery subsystems. 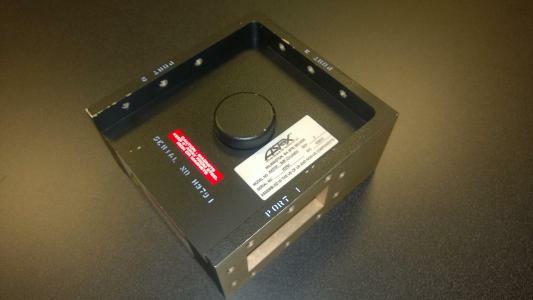 Astex circulator intended for use with 1.8kW and 3.0kW SmartPower microwave generators. Direct compatibility with Astex WR284 goods. The unit shown in the photos has was sold in 1/2019, but another similar unit is available. We intend to microwave-test the circulator prior to shipment. Black-painted "orange-peel" texture common to Astex (MKS) waveguide components. Commonly used with higher power Astex microwave delivery systems & plasma sources. Should have utility with non-Astex microwave goods. Approximate length is 5 to 6 inches. Painted aluminum, air-cooled microwave circulator commonly used with Astex 5000W microwave generators. Equipped with a reflected power coupler at Port 3 (dummy load location). Manual 3-stub tuner equipped with WR284 waveguide and precision dials. Rack-mounted S1000i Power Supply, Magnetron Head, Cable and Waveguide components. This is an older vintage power supply which is only recommended to customers who are already supporting related Astex microwave goods. This unit has been tested in the past. Re-testing can be expedited upon request. Repair or replacement of the A/C cord needs to be coordinated before shipment. Offered as a power supply only or as a microwave delivery subsystem equipped with magnetron head, cables, and selected waveguide goods. 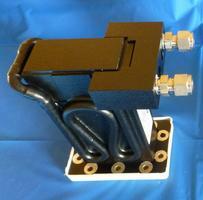 For use with compatible Astex switching microwave power supplies. Cline Innovations has all components necessary to refurbish and reintegrate a 5kW Astex MPCVD system for R&D or limited production. System can be rebuild based on customer's application needs using a combination of reliable, new and used/refurbished components. This general system type enables growth of nanocrystalline. polycrystalline, or single crystal diamond (SCD) depending on configuration and operating conditions. 1.5kW to 5kW microwave power input. 3 stage options: Cooled, Heated, or Thermally Floating. Integration with computer controls is strongly recommended. Chamber designs vary by vintage, but can be confirmed at the time of quotation.